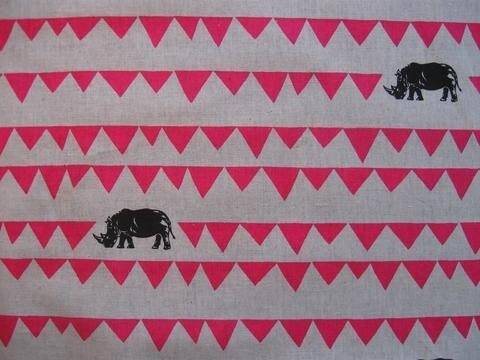 Rhino and pennant banner designs on cotton (85%) linen (15%) blend, lightweight sheeting fabric. 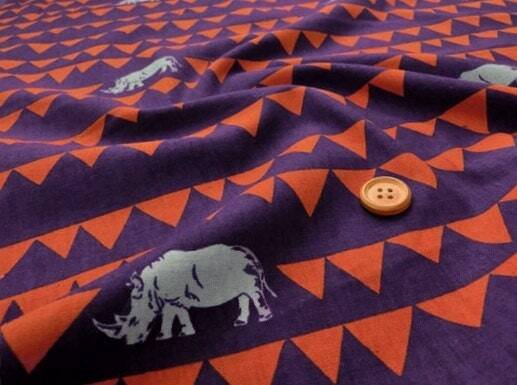 Rhino is approximately 2"`wide and 1" tall. 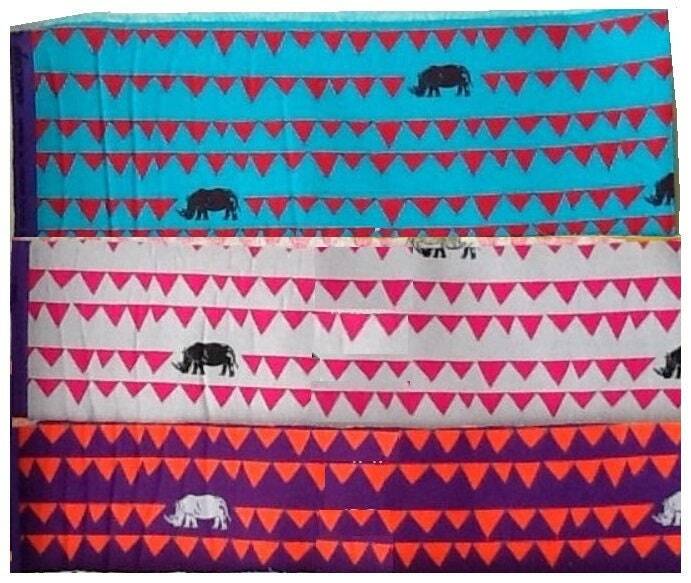 Suitable for crafts, apparel, and quilting. 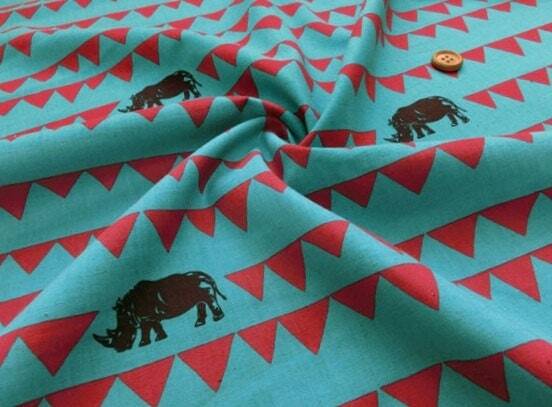 □ Rhino EF052 A - On blue with Black Rhino, red pennant banner. 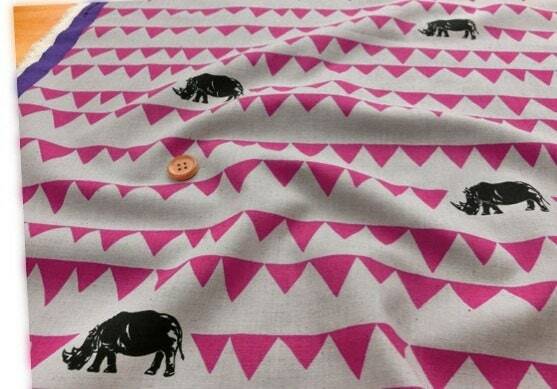 □ Rhino EF052 C - On Grey with Black Rhino, pink pennant banner. 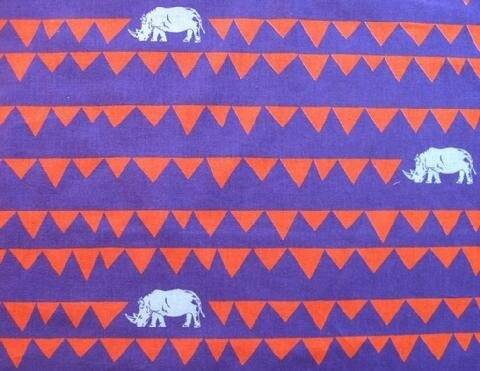 □ Rhino EF052 D - On Purple with Grey Rhino, orange pennant banner.